Oscar Wilde's elegantly lurid tale of a man dodging Nature's toll gets serious respect and more — by a little known but great minor talent. By Gary Michael Dault. 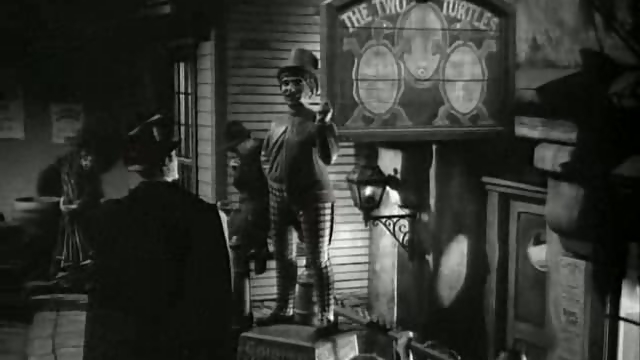 Like Robert Louis Stevenson’s novella, The Strange Case of Dr. Jekyll and Mr Hyde (1886), Oscar Wilde’s only novel, The Picture of Dorian Gray—which followed hard upon the Jekyll/Hyde saga, in 1891—also traded heavily in the doppelganger idea (literally a “double-goer”), the agon of the divided self. Like the hapless scientist-doctor, whose laboratory experiments succeed in releasing the simian, id-beast tucked down inside of outward Victorian civility (“Free, free at last! !” cries Hyde, on first confronting his raw image in the mirror), the presumably exquisite young aesthete, Dorian Gray, described in the opening pages of Wilde’s novel as “this young Adonis, who looks as if he was made out of ivory and rose-leaves,” confronts himself, in the novel, as his own commissioned portrait, a portrait that—as everybody knows—faithfully records, in the very atoms its increasingly gnarled, lumpy, greasy and eventually bloody oil pigment, every descent into depravity so mesmerizingly trod by the outwardly perfect, ageless Dorian. Both literary works became memorable films—each a number of times over. The Fredric March-Miriam Hopkins version from 1931 (dir. Rouben Mamoulian) remains the best Jekyll for me. 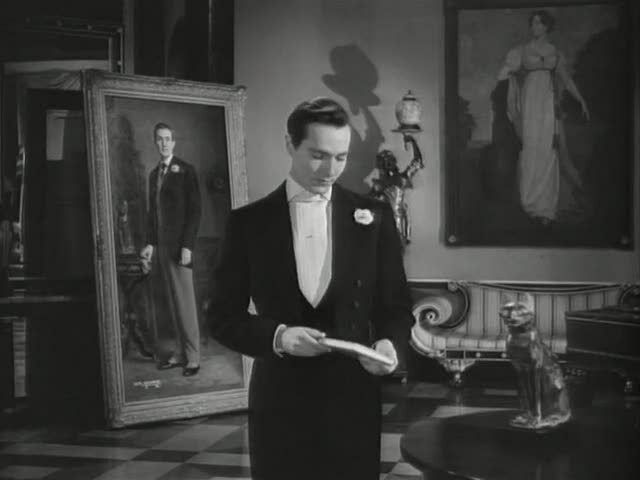 Just as Albert Lewin’s unforgettable 1945 Dorian Gray can’t be displaced by subsequent Dorians (Oliver Parker’s from 2009, for example). 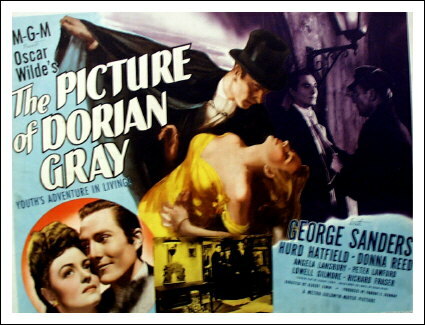 Part of the enduring success of the Albert Lewin version is surely traceable to the impeccability of its casting—with the great George Sanders as Dorian’s bad influence, Lord Henry Wotton, with fine supporting appearances by Lowell Gilmore as Basil Hallward, the earnest, decent painter of the infamous transfiguring portrait, and by Angela Lansbury as club-singer Sibyl Vane (not an opera star as in the novel), Donna Reed and Peter Lawford. Lewin gleefully winkles Dorian’s fetid soul from his unassailable body and lodges it in the fatal painting. Oddly, Lewin’s having awarded the crucial role of Dorian to the implacably handsome but remarkable lifeless Hurd Hatfield (Tarzan and the Slave Girl, 1950, The Boston Strangler, 1968) didn’t appear to hurt the film. Indeed the actor’s woodenness seemed to make Dorian’s parallel development into something—into a hideous portrait, painted for the film (an briefly shown as a shockingly sudden, full colour insert) by American painter Ivan Albright)—a consummation devoutly to be wished. The film’s director, Albert Lewin, was a fascinating guy. He worked himself up from script boy to screenwriter to producer, finally getting to write and direct his own adaptation of Somerset Maugham’s 1919 novel, The Moon and Sixpence (1942), about a Gauguin-like businessman named Charles Strickland, who suddenly turned maniacal, virtuoso painter, leaves his family to end up, like Gauguin, dying in Tahiti. 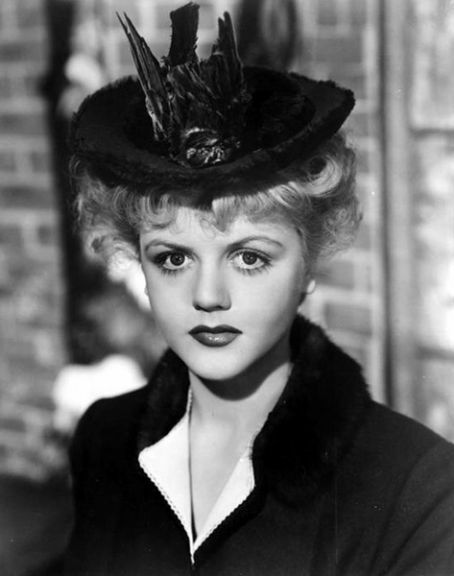 Dorian's fascination: Angela Lansbury as the hapless bar singer, wearing a hat adorned with a dead bird. Lewin seemed devoted to the doppelganger/double concept: Strickland the businessman-turned-painter divides himself into two beings throughout the unspooling of narrative time. In The Picture of Dorian Gray—where he makes infinitely better use of Sanders—Lewin gleefully, intricately, winkles Dorian’s fetid soul from his unassailable body and lodges it, dripping and foul, in Basil Hallward’s fatal painting. It’s a an act of narcissistic vivisection that leads us right into modernism’s fetishistic preference for transformable image over the horrible indifference of reality (“That’s nothing,” said McLuhan’s proud mother on having her new baby admired, “you should see his photograph!!”). “One could never pay too high a price for any sensation,” writes Wilde in his novel. Albert Lewin seems to have understood this exquisitely well.